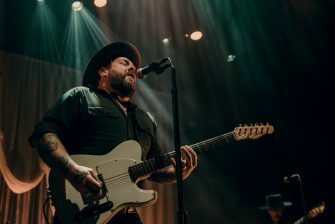 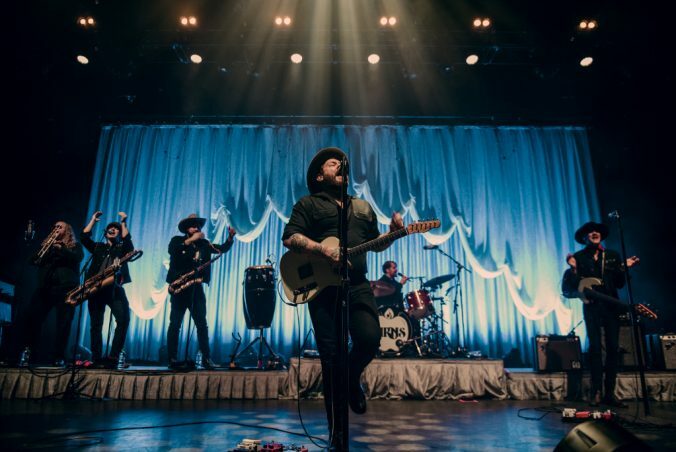 Tearing at the Seams, Nathaniel Rateliff’s second album with the seven-man band the Night Sweats is the distinctive sound of nostalgia of the 60s. 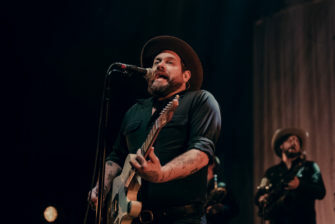 The funky rhythms of the musicians and the rustic soul of Rateliff’s voice celebrate the best years of their label, Stax Records. 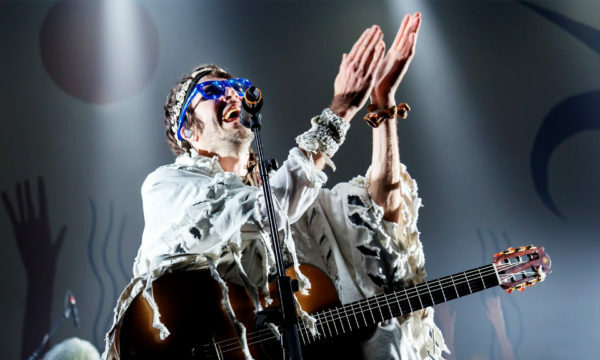 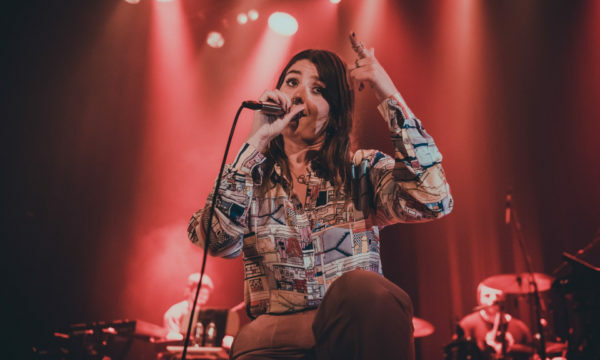 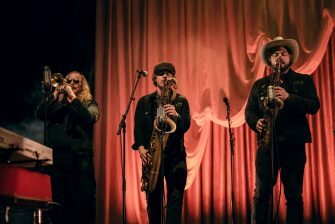 Shoe Boot and Be There started the night off on a high note with the swelling organs and the vibrant, funky horn section, accompanied by a chorus of feet stomping and clapping across the packed theatre. 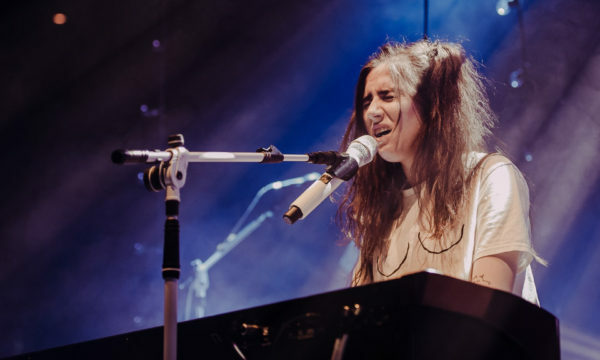 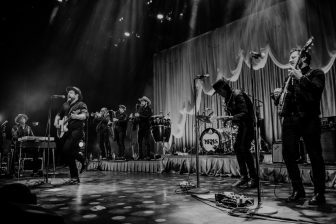 The effervescent country/folk songs like Say It Louder and Coolin’ Out that had hips swaying and an echo of voices belting out the choruses felt like an ode to the good times of the past, which brought to life rather than pined for the nostalgia of the timeless names like Otis Reading and Sam Cooke. 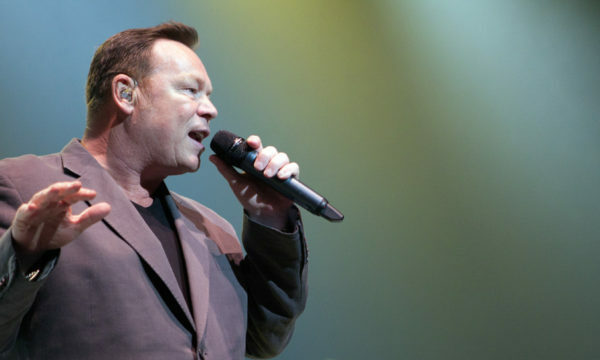 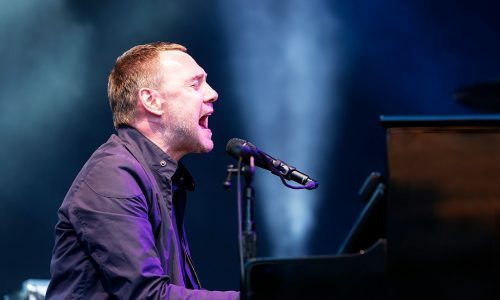 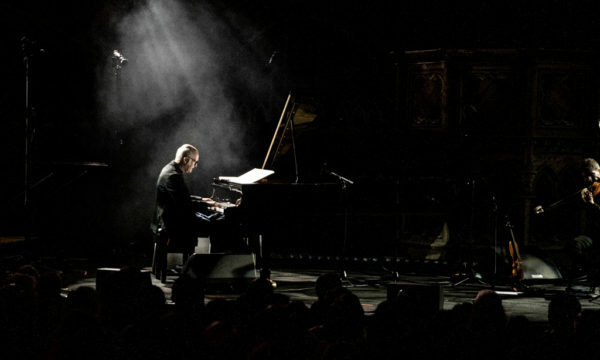 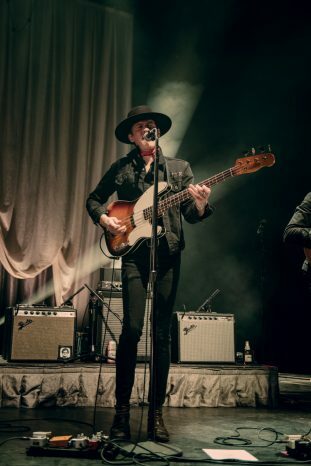 The singer from Colorado – inspired by Leonard Cohen – could show off his own song-writing skills as he gazed introspectively at his struggles with alcoholism and his support for March for Our Lives to end gun crimes in the Unites States. 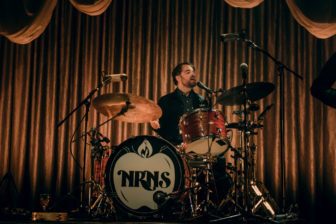 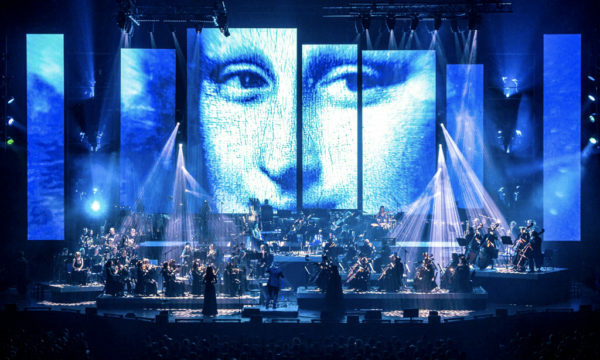 The bluesy gospel sound of Intro was like an explosion at the Apollo, which was rammed full of cheering, singing, clapping and stomping feet as the audience responded to the irresistible sound of the brass, electric guitars, percussions and horns, culminating in the high energy of SOB and its follow-up I Need Never Get Old. 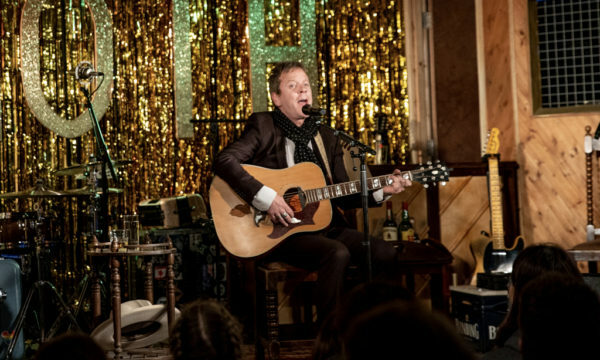 There was no-one left sitting. 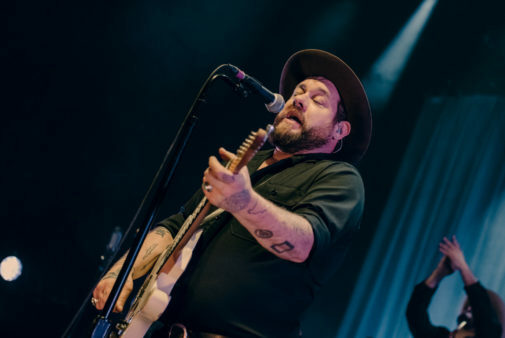 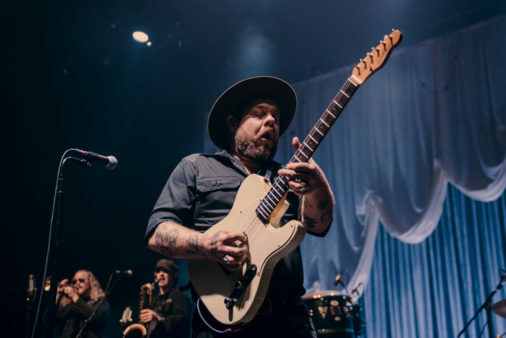 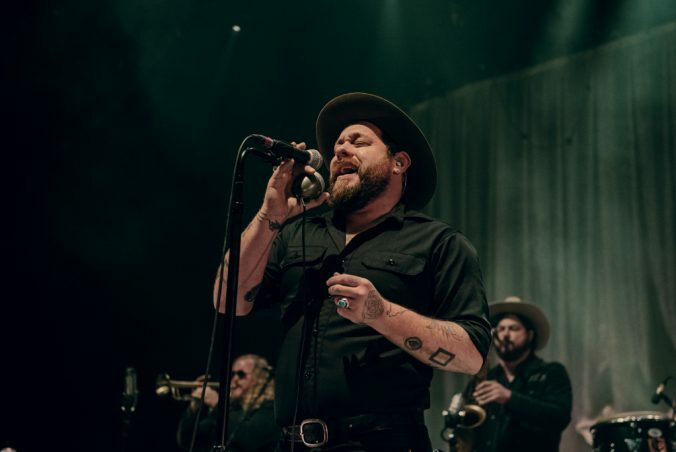 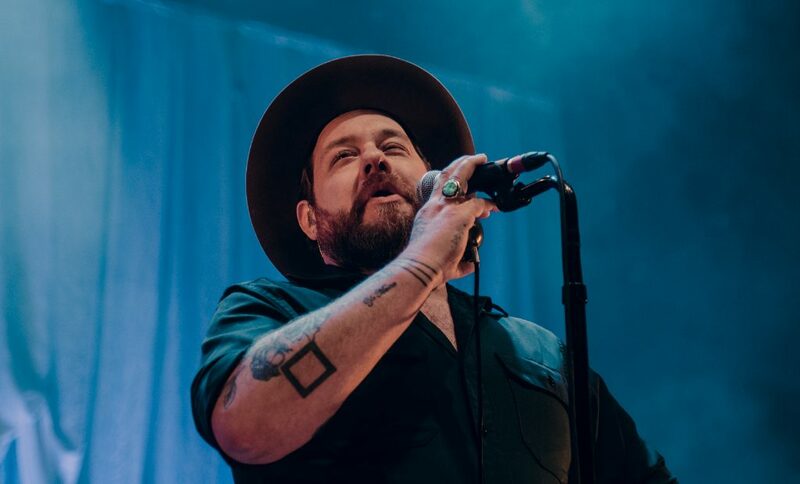 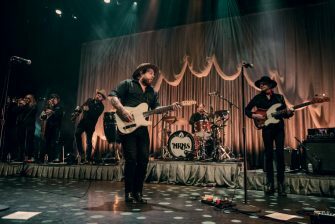 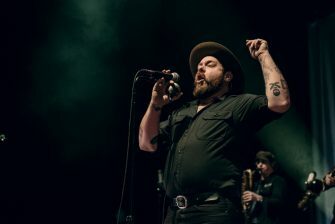 Everyone was on their feet evidently overcome by the infectious spirit of the performance as Nathaniel Rateliff and the Night Sweats showed that indeed hard work and well-polished funky soul can be more than just a tribute to times past. 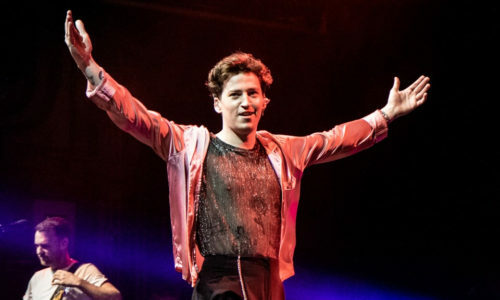 Though the slower tunes were easily overwhelmed by the upbeat rhythms, serving more as pauses rather than good songs on their own accord, the single You Worry Me was well-received and Hey Mama proved a touching, meaningful and appreciated song. 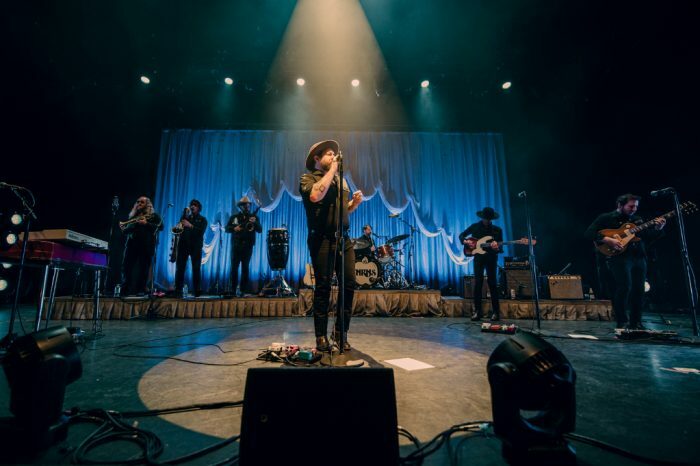 For further information and future events visit Nathaniel Rateliff’s website here.